Successfully meeting global growth objectives hinges on making the best-informed decisions and optimising liquidity to future-proof your business. By bringing together our cash and derivatives trading, sales and distribution, structured equity and equities finance expertise, that’s exactly what HSBC’s Global Equity group delivers. Our far-reaching network gives you access to our sales, trading and research specialists across more than 60 developed, emerging and frontier cash equities countries. HSBC also holds a large inventory of stocks, this enables us to offer a consistent trading service and meet the needs of the world's most sophisticated investors. Our Prime Finance team operates across time zones in five continents and key hubs in London, New York and Hong Kong. Our comprehensive offering includes index and sector products, market access, portfolio swaps, ETF, securities borrowing and lending, and value-added strategies. An innovative partner to Investment Managers, Prime Finance has the latest synthetic platform, providing seamless execution via direct market access (DMA) and direct strategy access (DSA). Our global reach brings together developed and emerging markets with local, on-the-ground expertise in South East Asia, China, Middle East and North Africa, Latin America and South Africa. We have one of the strongest balance sheets in the industry and are well positioned to provide stable funding through market cycles and regulatory changes. HSBC Global Equities covers a full suite of derivatives products varying from plain vanilla to more complex and structured solutions on a variety of underlyings including country or sectors indices, single names and variances as well as correlation and dispersion or volatility control. We have direct memberships in over 30 derivatives exchanges and access to more than 50 markets, enabling our sales and trading professionals to serve the needs of asset managers, corporations, hedge funds, pension funds and central banks, and other financial institutions. Our equity derivatives strategists provide bespoke solutions for our clients. 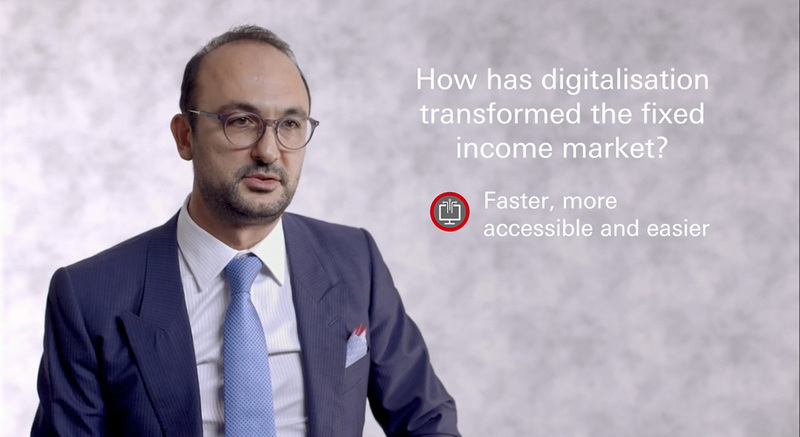 With a strong presence and transactional capabilities in emerging markets, HSBC offers coverage out of a dozen countries. Any other consideration that is relevant to the execution of the Order. The characteristics of the execution venues to which the Order may be directed. HSI performs a regular review of the execution quality provided by the destinations to which we route your undirected Orders in order to assure that you receive a high quality execution. HSBC Securities (USA), Inc. routes client and principal orders to national exchanges, alternative trading systems (“ATS”), and other market centers, which may include other broker-dealers. As such, HSBC Securities (USA) Inc. may accept payment in the form of rebates from certain market centers as part of “Maker-Taker” programs and discounts and/or reduction in fees from certain executing brokers, which in some cases may exceed the costs of execution; such cases constitute payment for order flow. However, HSBC Securities (USA) Inc.’s routing decisions are not determined by the receipt of payments, but rather on the basis of the quality of execution offered, taking into consideration various factors including, but not limited to price, transaction costs, liquidity and speed of execution. Rule 611 of Regulation NMS (“Reg NMS”) (commonly known as the Order Protection Rule) establishes intermarket price protection against trade-throughs for all NMS Stocks by requiring broker-dealers to attempt to access any better priced “protected” quotes on automated trading centers when executing at prices that would trade through those protected quotes. Rule 611 contains a number of exceptions, which are designed to make the rule’s intermarket price protection as efficient as possible. One of those exceptions is referred to as the Intermarket Sweep Order, or ISO exception. An ISO is a limit order for an NMS stock that is identified with an ISO designation when routed to an automated trading center and, simultaneously with the routing of that limit order, is accompanied by one or more additional limit orders (also marked as ISOs) that will execute against the protected quotations on those automated trading centers. The ISO designation alerts the receiving automated trading center that the order sender itself is executing against any better priced protected quotations at other automated trading centers. A broker-dealer is obligated to send ISOs when the price of a transaction between the broker-dealer and a customer, or a transaction between two or more customers, is outside of the current national best bid and offer (“NBBO”) for the NMS stock. If, after sending ISOs to other automated trading centers and receiving fills/partial fills back (or receiving no response after a reasonable period of time, e.g., within 5 seconds), there are still shares of the order left to be executed, the broker-dealer can then execute the remainder at the original order price. Any fills from ISO’s will not be passed along to the client, but instead will be for an HSI principal account. Indications of interest (“IOIs”) are expressions of trading interest to buy or sell securities that are sent by broker dealers to their clients. IOI messages typically contain the security name, side, price and volume for which the broker dealer seeks to transact. In addition, IOIs are generally designated into two types: natural – to represent agency interest or interest on a principal basis that is being or was established in connection with the facilitation of a customer order; and non-natural – to represent principal or house interest to trade in a particular direction. HSI uses certain vendors such as Bloomberg and Autex to advertise IOIs. HSI will label an IOI a natural if it is the result of an existing agency basis (i.e. customer order in hand) or interest on a principal basis that is being, or was established in connection with the facilitation of a customer order (e.g., unwinding or hedging client generated activity), including the facilitation of clients’ listed option orders and certain over-the-counter equity derivatives, or the execution of a client’s order on a riskless principal basis. HSI is dedicated to seeking best execution of your orders and providing transparency when working your orders or hedging against market risk from facilitating them. We may receive orders from you for single stocks or a basket of securities whereby we agree that HSI will execute in a principal capacity all or a portion of the order at a guaranteed price. That price may be based on an independent benchmark such as a Value-Weighted Average Price (“VWAP”), Time-Weighted Average Price (“TWAP”) or the official closing price for the security(s) comprising the basket. Prior to the execution of a guaranteed price order, HSI may establish a hedge through single or multiple trades that serve to offset our market risk associated with facilitating these transactions. This hedge will usually involve principal trades (possibly throughout the day) in the same security or in a related derivative instrument on the same side of the market as your order. HSI makes every reasonable effort to minimise the market impact of its hedging. Nevertheless, such activity may ultimately affect the agreed guaranteed benchmark price. A “held” order is one in which you instruct HSI to immediately submit for executions at the best available market prices, subject to size and limit price constraints. A “not held” order is one in which you give us discretion as to the time and price at which to execute your orders. When handling a “not held” order, we use professional judgment to seek the best possible overall quality of execution under the circumstances in accordance with the order’s instructions. We take into consideration the size and potential market impact of the order and the depth and liquidity of the current market, as well as other relevant factors when exercising trading discretion. Your orders will be handled as “not held” (including all orders sent to an HSI algorithm or smart order router (“SOR”)) unless you instruct us otherwise. As required by SEC Rule 15c3-5, HSI has established, documented and maintains a system of risk management controls and supervisory procedures reasonably designed to manage the financial, regulatory, and other risks of the Firm’s market access and providing customers with access to an exchange or alternative trading system (“ATS”) through use of the Firm’s market participant identifier or otherwise. We subject all orders to certain financial and regulatory risk management controls prior to submitting the orders to market centers. If your order triggers one of these controls, HSI has the discretion to either reject it or execute it on a delayed basis upon further review of the order. HSI offers a variety of electronic order execution services, including algorithmic trading strategies (e.g., VWAP trading strategies) and SOR technology. As part of these electronic order execution services, your order may be broken down into smaller orders which are routed to one or more execution venues. In addition, one or more of these electronic order execution services may also be used in the execution of your order where you utilize the expertise of an HSI professional. HSI does not accept orders in certain OTC equity securities which are categorized by The OTC Markets Group as (1) OTC Pink – Limited Information; (2) OTC Pink – No Information; (3) Grey Market; or (4) Caveat Emptor. Should you submit an order in a security that falls within any of the above categories, it will be rejected. If you seek to sell a security deemed to be “restricted” due to your acquisition of such security in an unregistered, private sale or from an affiliate of the issuer, such security must be sold pursuant to Rule 144 of the Securities Exchange Act of 1933, as amended, or another applicable exemption from registration. You must contact your HSI salesperson prior to submitting the order to ensure we are able to process the sale in accordance with the applicable regulatory requirements and any restrictions imposed by the transfer agent. FINRA Rule 5270 generally prohibits a broker-dealer from trading for its own account while in possession of information regarding an imminent customer block order. In the normal course, HSI accepts and facilitates customer block orders, including single stock orders, baskets of securities and derivatives. HSI may trade principally at prices that would satisfy a customer block order where such transactions are unrelated (e.g. due to appropriate information barriers as detailed in the “no knowledge” exception to FINRA Rule 5320 detailed below) to the customer block order. Under certain circumstances, HSI may also engage in bona fide hedging or positioning activity to reduce the market risk associated with the facilitation of a customer block order. Such trading activity may coincidentally impact the execution price of the customer block order. HSI, however, will use reasonable efforts to avoid or minimise any such impact and to obtain the best possible execution for the customer block order. Rule 5320 generally prohibits a member firm that accepts and holds a customer order from trading for its own account at terms that would satisfy the customer order, unless the member immediately thereafter executes the customer order at the same or better price than it traded for its own account. Described below, are certain exceptions to the Rule and an explanation of how HSI will handle those exceptions. Please note that consistent with existing regulatory guidance, ‘not held’ orders are outside the scope of the Rule. Large orders (orders of 10,000 or more shares with a total value of $100,000 or more) and/or orders by “institutional accounts” as (as defined under FINRA Rule 4512(c) are exempted from the requirements of Rule 5320. HSI will generally work such orders in accordance with customer instructions. While working such orders, HSI may trade for its own account while handling a customer’s order without providing price protection. You may notify HSI that you do not consent to HSI trading while handling your orders by providing us with written notice to “opt-in” to Rule 5320 protections. Otherwise, you, as a customer, will be deemed to have consented to the firm’s trading for its own account on the same side of the market at a price that would satisfy the customer’s order. Your election to “opt-in” may be applied to all of your orders or individual orders on an order-by-order basis. HSI maintains Rule 5320 internal controls known as information barriers between its trading units. The information barriers are designed to prevent one trading unit from having knowledge of customer orders held by a different trading unit. With these barriers in place, one trading unit may hold a customer order, while another trading unit, executes an order for an HSI account that would satisfy the customer order. HSI may trade in the security for its own account prior to the completion of a customer “not held” order, in which the customers give us discretion as to the time and price at which to execute your orders. HSI may accept customer orders outside of regular U.S. trading hours (9:30am – 4pm EST). Such customer orders will be handled based on specific order instructions, including but not limited to, limit price and timeframe to which the order is eligible for execution (e.g., regular/extended trading hours). Unless otherwise stated within the order instructions, all orders received prior to 9:30am EST will be handled and eligible for execution in the regular trading hours session on that business day. If you have any questions about this disclosure, wish to discuss it further, or object to the manner in which we are handling your Orders, please contact your HSI sales representative. Stop prices are not guaranteed execution prices. A "stop order" becomes a "market order" when the "stop price" is reached and broker dealers are required to execute a market order fully and promptly at then current market price. Therefore, the price at which a stop order ultimately is executed may be very different from the customer's "stop price. Accordingly, while the customer may receive a prompt execution of a stop order that becomes a market order, during volatile market conditions, the execution may be at a significantly different price from the stop price if the market is moving rapidly. Stop orders may be triggered by a short-lived, dramatic price change. Customers are reminded that, during periods of volatile market conditions, the price of a stock can move significantly in a short period of time and trigger an execution of a stop order (and the stock may later resume trading at its prior price level). Customers should understand that if their stop order is triggered under these circumstances, they may sell at an undesirable price even though the price of the stock may stabilise during the same trading day. Placing a "limit price" on a stop order may help manage some of these risks. A stop order with a "limit price" (a "stop limit" order) becomes a "limit order" when the stock reaches the "stop price." A "limit order" is an order to buy or sell a security for an amount no worse than a specific price (i.e., the "limit price"). By using a stop limit order instead of a regular stop order, the customer will receive additional certainty with respect to the price received. However, customers also should be aware that, because broker dealers cannot sell for a price that is lower (or buy for a price that is higher) than the limit price selected by the customer, there is the possibility that the order will not be executed at all. Customers are encouraged to use limit orders in cases where they prioritise achieving a desired target price more than getting an immediate execution irrespective of price. Order Marking: When placing orders with HSI, customer are required to correctly mark all sale orders as either “long” or “short”. For any orders marked as “long”, you are representing to HSI that you are “net long” in the security pursuant to Rule 200. Locate Requirement: HSI may not accept a short sale order in a US equity security unless there is reasonable grounds to believe that the security can be borrowed to make delivery on settlement date (i.e. “locate”). Customers must provide HSI with a valid locate and clearly indicate the source of the locate. A locate is not a confirmation or guarantee that HSI has borrowed or will be able to borrow the security to make delivery on settlement date. Buy-Ins: HSI may be required to effect a mandatory market buy-in of a short or long sale transaction which resulted in a fail to deliver on settlement date. Should HSI execute a buy-in on your short or long sale transaction, your trading activity in the subject security executed through HSI on that trade date must end the day either net flat or net long. Any such fail to deliver may result in a restriction on your ability to effect short sales in such security. HSI reserves the right to pass through any fees or expense incurred in connection with any such buy-in. A Large Trader is defined as an entity having discretionary control over transactions in NMS securities equal to or exceeding (1) 2 million shares or $20 million during any calendar day or (2) $20 million shares or $200 million during any calendar month. Customers are required to provide HSI with their Large Trader Identification Number (“LTID”) and identify any related accounts. HSI is required to assign an LTID to any customer that does not have a LTID but is required under the rule. The rules of various options exchanges require that HSI properly designate orders as originating from certain market participants including: customers, broker-dealers, market-makers or “Professionals” (i.e., orders of any customer who places more than 390 orders in listed options per day on average during a calendar month). Accordingly, HSI will monitor your options trading activity and categorise your orders as Professional if you meet this designation. The options exchanges have established limits on the maximum number of options covering the same security that may be held by a customer, including any customers acting in concert with such customer. Accordingly, HSI will monitor and report your options positions to the options exchanges and may be required to liquidate any positions in excess of applicable position limits. When handling an order of 500 or more options contracts on your behalf, HSI may solicit other parties to execute against your order and may thereafter execute your order using the International Securities Exchange’s (ISE) Solicited Order Mechanism. This functionality provides a single-price execution only, so that your entire order may receive a better price after being exposed to the Exchange’s participants, but will not receive partial price improvement. For further details on the operation of this Mechanism, please refer to ISE Rule 716, which is available at www.ise.com under ‘Membership, Rules, and Fees – Regulatory-ISE Rules’. When handling an option order of 500 contracts or more on your behalf, HSI may buy or sell, security futures or futures positions, following receipt of the option order but prior to announcing the option order to the trading crowd. The option order may thereafter be executed using the tied hedge procedures of the exchange (e.g. the Chicago Board Options Exchange or the NASDAQ OMX PHLX) on which the order is executed. These procedures permit the option order and hedging position to be presented for execution as a net-priced package subject to certain requirements. For further details on the operation of the procedures, please refer to the exchange rules for tied orders including Chicago Board Options Exchange Rule 6.74.10, which is available at www.cboe.org/Legal. Risk of Lower Liquidity: Liquidity refers to the ability of market participants to buy and sell securities. Generally, the more orders and quotes that are available in a market, the greater the liquidity. Liquidity is important because with greater liquidity it is easier for investors to buy or sell securities, and as a result, investors are more likely to pay or receive a competitive price for securities purchased or sold. There may be lower liquidity during ETH as compared to Regular Trading Hours (RTH), including fewer Market-Makers quoting during ETH. As a result, your order may only be partially executed or not at all. Risk of Higher Volatility: Volatility refers to the changes in price that securities undergo when trading. Generally, the higher the volatility of a security, the greater its price swings. There may be greater volatility during ETH as compared to RTH. As a result, your order may only be partially executed or not at all, or you may receive an inferior price during ETH as compared to RTH. Risk of Changing Prices: The prices of securities traded during ETH may not reflect the prices either at the end of RTH or upon the opening of RTH the next business day. As a result, you may receive an inferior price during ETH as compared to RTH. Risk of News Announcements: Normally, issuers make news announcements that may affect the price of their securities after RTH. Similarly, important financial information is frequently announced outside of RTH. These announcements may occur during ETH, and if combined with lower liquidity and higher volatility, may cause an exaggerated and unsustainable effect on the price of a security. Risk of Wider Spreads: The spread refers to the difference between the price for which you can buy a security and the price for which you can sell it. Lower liquidity and higher volatility during ETH may result in wider than normal spreads for a particular security. Risk of Lack of Calculation or Dissemination of Underlying Index Value or Intraday Indicative Value (IIV) and Lack of Regular Trading in Securities Underlying Indexes: For certain products, an updated underlying index or portfolio value or IIV will not be calculated or publicly disseminated during ETH. Since the underlying index or portfolio value and IIV are not calculated or widely disseminated during ETH, an investor who is unable to calculate implied values for certain products during ETH may be at a disadvantage to market professionals. Additionally, securities underlying the indexes or portfolios will not be regularly trading as they are during RTH, or may not be trading at all. This may cause prices during ETH to not reflect the prices of those securities when they open for trading. Risk of Lower Liquidity: Liquidity refers to the ability of market participants to buy and sell securities. Generally, the more orders that are available in a market, the greater the liquidity. Liquidity is important because with greater liquidity it is easier for investors to buy or sell securities, and as a result, investors are more likely to pay or receive a competitive price for securities purchased or sold. There may be lower liquidity in extended hours trading as compared to regular market hours. As a result, your order may only be partially executed or not at all. Risk of Higher Volatility: Volatility refers to the changes in price that securities undergo when trading. Generally, the higher the volatility of a security, the greater its price swings. There may be greater volatility in extended hours trading than in regular market hours. As a result, your order may only be partially executed or not at all, or you may receive an inferior price in extended hours trading than you would during regular markets hours. Risk of Changing Prices: The prices of securities traded in extended hours trading may not reflect the prices either at the end of regular market hours, or upon the opening of the next morning. As a result, you may receive an inferior price in extended hours trading than you would during regular market hours. Risk of Unlinked Markets: Depending on the extended hours trading system or the time of day, the prices displayed on a particular extended hours system may not reflect the prices in other concurrently operating extended hours trading systems dealing in the same securities. Accordingly, you may receive an inferior price in one extended hours trading system than you would in another extended hours trading system. Risk of News Announcements: Normally, issuers make news announcements that may affect the price of their securities after regular market hours. Similarly, important financial information is frequently announced outside of regular market hours. In extended hours trading, these announcements may occur during trading and, if combined with lower liquidity and higher volatility, may cause an exaggerated and unsustainable effect on the price of a security. Risk of Lack of Calculation or Dissemination of Underlying Index Value or Intraday Indicative Value (IIV): For certain Derivative Securities Products, an updated underlying index value or IIV may not be calculated or publicly disseminated in extended trading hours. Since the underlying index value and IIV are not calculated or widely disseminated during the pre-market and post-market sessions, an investor who is unable to calculate implied values for certain Derivative Securities Products in those sessions may be at a disadvantage to market professionals. As part of our compliance with applicable laws and regulations, certain telephone lines in our sales and trading departments will be recorded. Please note that these recordings may be made with or without the use of a spoken warning, tone, or similar notification. BrokerCheck provides investors with the ability to research the professional backgrounds, business practices, and conduct of FINRA-registered broker-dealers, investment advisers and registered representatives. In connection with this programme, investors may call the BrokerCheck Hotline at (800) 289-9999, and visit the FINRA website at http://brokercheck.finra.org/Search/Search. An investor brochure that includes information describing the FINRA BrokerCheck Programme is available from either of these sources. HSI is a member of SIPC. Clients may obtain information about SIPC, including the SIPC brochure, by contacting SIPC at www.sipc.org or (202) 371-8300. If a non-U.S. affiliate of HSBC Securities (USA) Inc. was involved in the solicitation or effecting of this transaction and you are a U.S. customer, HSBC Securities (USA) Inc. acted as agent for that non-U.S. affiliate pursuant to Rule 15a-6 under the U.S. Securities Exchange Act of 1934. HSBC Securities (USA) Inc. has not received and will not receive any remuneration from you in connection with its role as agent pursuant to Rule 15a-6. The source and amount of any other remuneration received or to be received by HSBC Securities (USA) Inc. in connection with this transaction will be furnished upon written request.